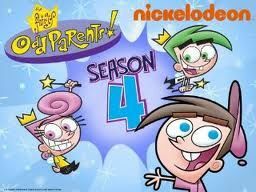 You will Watch The Fairly OddParents Season 7 Episode 2 online for free episodes with HQ / high quality. Stream cartoons The Fairly OddParents Episode 81 Add-a-Dad / Squirrely Puffs. Mr. Turner is very busy working, so busy in fact that whenever he and Timmy are doing something fun, Mr. Turner will be called off, abandoning his son. So Timmy finds a solution, to wish up many Dads, so that every time one of them has to leave he will have a replacement. But when the Dads keep leaving, soon there are too many dads! And they all want Timmy; It’s a race between the Squirrel Scouts and the Cream Puffs to the top of Mount Doom. Will Timmy and his Dad’s team survive this harrowing challenge, or will Mom, Tootie, and the girls make them turn tail?